If “dropping a few kilos” is your resolution for the New Year, then you are certainly not the only one. But are you doing all you can to achieve your goals, or are you unintentionally sabotaging them? Our blog today focuses on identifying some of the most common weight loss mistakes — and then points out the best way to avoid them. Foods touting their fat-free status may be free of fat, but that does not make them good for your weight-loss. Most fat-free foods contain a lot of sugar so they are often higher in calories than their ‘normal’ fat counterparts. Also because these foods are full of sugar, they play havoc with your blood sugar levels, so may not satisfy your hunger. You are best to stick to a small portion of the real thing (i.e. with fat) and savour every mouthful. Artificial Sweeteners – like Equal, Nutra-sweet and even all-natural stevia — may seem like a good weight-loss tool because they are much lower in calories than sugar. But they are designed to be excessively sweet – in fact, some are 100 times sweeter than sugar. The problem with this is that your taste buds get ‘tuned into’ wanting a higher level of sweetness which may trigger sugar addiction. Your best bet is to start halving the amount of sugar you put in tea or coffee i.e. instead of 1 teaspoon, try only half for a few days & then cut down to a quarter teaspoon before you go cold turkey. Losing your taste for sweetness will definitely help you to maintain your weight loss much better in the future too. If you have been eating really well for a couple of days, but then break-out and have chocolate, how do you cope with that? Most people will say ‘oh well, I’ve ruined today now, so I may as well eat the whole block and start again tomorrow’ – EEK! This type of behaviour will put you back to square one in no time! If you over-eat at one meal or snack on something naughty, don’t give up and go for broke. Instead have a little less at the next meal and do some extra exercise that day. We all make mistakes; it’s how you recover from them that matters – and affects your weight-loss. The Natural Way is not just a weight loss program – the information I have shared today on this blog is covered in our Healthy Living program which is our maintenance survival guide and vital for long-term success. 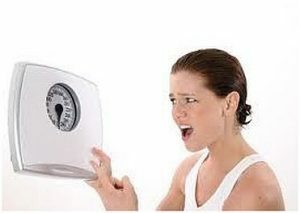 We educate our clients while they lose weight with us, so by the time they get to goal, they understand all they need to do to keep their weight off for LIFE.